The weekend starts with a big bang, tenor-wise, with the return of Eric Alexander to the Artists Quarter (October 23-24). Runner up to Joshua Redman in the Thelonious Monk International Saxophone Competition in 1991, 41-year-old Alexander has amassed an amazing discography of 19 recordings as leader and appears on at least 100 more. And this is not mass production but highly regarded efforts with top cohorts. 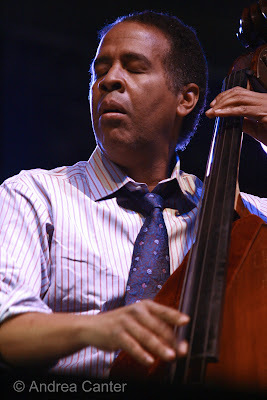 He’s also a founding member of the sextet One for All, resident ensemble at New York’s Smoke. His heart remains in his native Midwest, however, and that means a nearly annual pilgrimage to the AQ. This weekend he is supported with spirit and virtuosity by Chris Lomheim, Tom Lewis and Kenny Horst. At the Dakota (10/23-24), catch Cuban firecracker pianist Nachito Herrera in his mostly monthly blowout. He’s getting ready for a new recording so expect some new material as well as high velocity and plenty of Caribbean heat. Sounds perfect for these unseasonably cold and damp evenings. 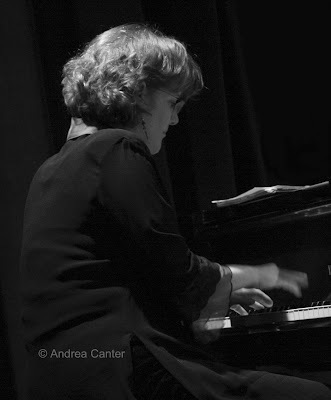 Meanwhile, down on West 7th in St Paul, Maud Hixson continues her Friday night serenades, tonight in the sublime company of pianist Mary Louise Knutson. And speaking of serenades, tonight (10/23) those in the east metro can catch Nancy Harms singing with hot hotclub guitarist Robert Bell at Ruby Begonia’s in Stillwater; in the west metro, Judi Donaghy entertains with the Laura Caviani Trio at Crave in the Galleria. And you can relive the heyday of Harlem with Harlem Nights at the Capri Theater, starring Charmin Michelle and Dennis Spears (10/24-25). 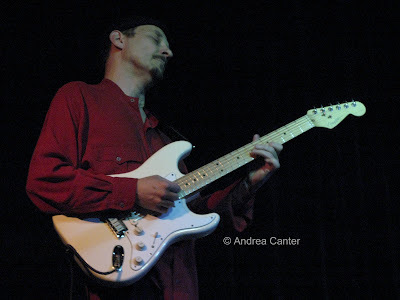 And as usual, you can catch Charmin with Denny Malmberg at Fireside Pizza, Mondays and Wednesdays from 7-9 pm. There’s plenty of experimental music around town this weekend, with Ryan Olcott bending circuits in solo at Café Maude and the electro-acoustic improvisational team of EarWorm at the Black Dog (both 10/23); EarWorm moves over to Café Maude for Saturday night. 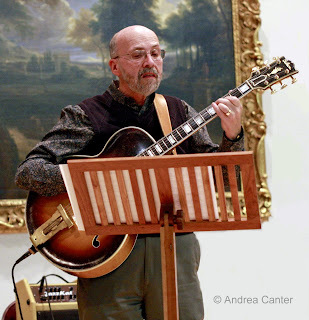 One of the best bargains you will ever find—a free performance by guitarist Joan Griffith and pianist Laura Caviani at the Janet Wallace Auditorium on the Macalester campus at 3 pm Sunday afternoon! They will perform compositions from their hot Sambanova recording as well as some new and original Brazilian-influenced music. Sunday evening, Dakota A-Train members have a free party and evening with New Orleans clarinetist Evan Christopher—also open to the public for a cover charge. Monday night (10/26), the Old Log Theater presents trumpeter Charles Lazarus and his quartet (Tommy Barbarella, Jeff Bailey and Craig Hara). 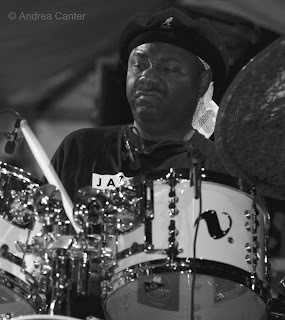 Although he spends most of his time with the Minnesota Orchestra, Lazarus has serious jazz chops, demonstrated quite ably on his 2008 recording, Zambava. 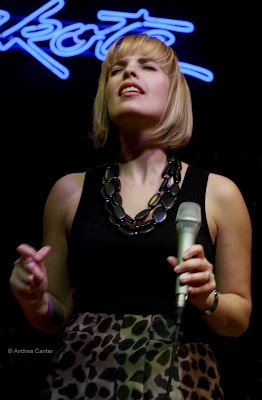 During the week, don’t miss Sophie Milman at the Dakota, 10/26-27. Russian by birth, Israeli throughout much of her childhood and now a Canadian citizen based in Toronto, Sophie has quickly become one of the most sought-after vocalists on both sides of the border. This is her third Dakota appearance in two years, which should tell you something about her appeal. And another popular returning artist, cellist Matt Haimovitz, follows Sophie at the Dakota on Wednesday night, bringing classical and pop repertoire to new levels. It’s just one set, followed by the saxiest duo around, Dave Karr and Brian Grivna. 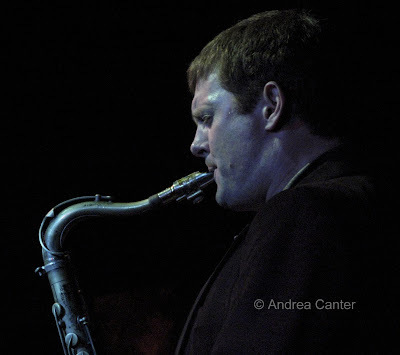 Also on 10/28, check out the homecoming of saxophonist Joel VanderHeyden and his band Koplant at the Artists Quarter. Now based in my home town of Iowa City, Joel grew up in St Paul and is looking forward to showing his friends and family that those music lessons paid off! And come back Thursday night to finish off the week in style with Pete Whitman’s X-Tet. Coming soon! 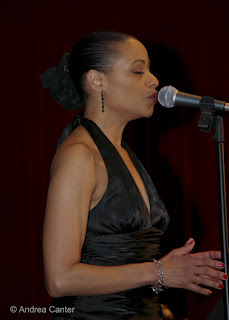 Carole Martin croons with finesse at the AQ (October 30-31), and the edgy Atlantis Quartet celebrates Halloween (likely in costume), this year reworking Herbie Hancock’s famed Headhunters, late set. And of course there is the rare club appearance of the Dave Brubeck Quartet at the Dakota, November 2-4. Some of the area’s most popular performers as well as some long-beloved visitors dot the jazz calendar this week. 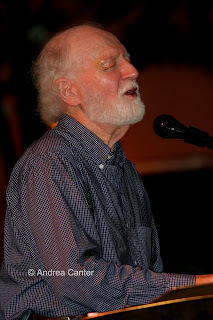 And you can never go wrong to start your week with a dose of Mose Allison’s blues and good humor. The “William Faulkner of Jazz” returns to the Artists Quarter in St. Paul for three nights (10/16-18), an annual event that always draws a crowd and a lot of smiles. 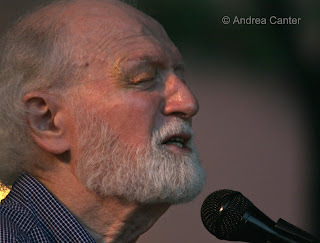 At 81, he’s been there, done that, and back again, but his lyrics never lose their bite or timeliness. Hit the late set Friday, starting out your evening on West 7th with Maud Hixson and guest Robert Bell at the Downtowner Woodfire Grill. Just a short drive to the AQ and you’ll make the 10:30 set with Mose. 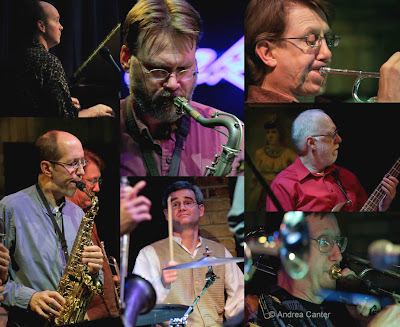 For some invigorating modern instrumental work, Pooch’s Playhouse (led by guitar wizard Joel Shapira) reigns nearby at the Hat Trick Lounge in Lowertown. Or stay put in southwest Minneapolis tonight (10/16) and stop by Crave in the Galleria for some smooth vocals from Charmin Michelle and the Laura Caviani Trio, then wake up your ears for a while with some new music at Café Maude, featuring Bruce Thornton on clarinet and bass clarinet, Patrick Harrison on accordion, Chris Bates on bass and Joey Van Phillips on drums. You can catch Charmin again, and every Sunday, for brunch at the new Crave in St. Louis Park, 11-2 with Rick Carlson on keys. And with Denny Malmberg, she continues her Monday and Wednesday gigs at Fireside Pizza in Richfield, probably making her the most consistently booked jazz artist in the Twin Cities. Sunday (10/18) also brings the long-awaited return of Soul Café to their old stomping grounds in the gallery of Hennepin Avenue United Methodist Church off Loring Park. 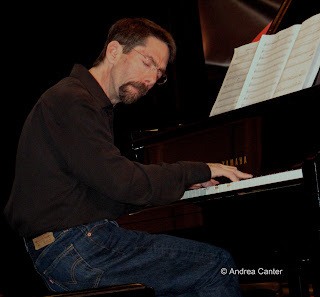 With Steve Blons on guitar, Brad Holden on sax, and Laura Caviani on piano, the trio offers sublime music accompanied by mostly modern poetry. Meanwhile at the Dakota Sunday night (and the late set starts well after Soul Café closes), Grammy-nominee Meshell Ndegeocello crosses so many musical genres it’s hard to describe.... but the bassist/vocalist is sure to amaze. And it’s the last weekend of Moore by Four’s reunion “At Ruby’s” gig at the Lab Theater, Friday-Sunday nights, a Cotton Club revue that only MB4 could pull off with such style. Longtime duo Mary Louise Knutson and Debbie Duncan continue their run at Camp Bar in St. Paul on Tuesdays. Longtime music and life partners Tuck and Patti return to the Dakota next week (10/20-21) while veteran percussionist and educator Marv Dahlgren continues his nonretirement with a night at the Artists Quarter (10/21). Same date, the Atlantis Quartet heads a late night gig at the Red Stag. Great shows coming soon! Eric Alexander at the AQ (October 23-24); Sophie Milman at the Dakota (October 26-27); Dave Brubeck Quartet at the Dakota (November 2-4); Roy Haynes at the AQ (November 20-21). 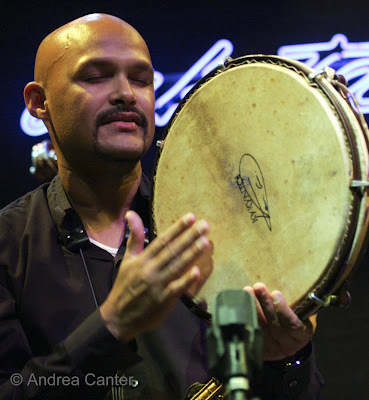 Start thinking now about November 21st—in addition to Haynes, we have Dafnis Prieto at Ted Mann and the JazzMN Big Band’s “Three Tenors” in Hopkins. Too much music, too little time. We love it that way. Sometimes there is no correlation between the size the audience and the quality of the music. This past weekend, that was true at concert halls across the metro. JazzMN Big Band, surely one of the most talented large jazz ensembles in the Midwest, welcomed virtuoso saxophonist Ernie Watts and always-ebullient vocalist Debbie Duncan to its season opener in Hopkins, and while the crowd was respectable, it should have been a sell out. I’d track down Watts to hear him again in a minute. And his playful duel with Dave Karr should be on You Tube. 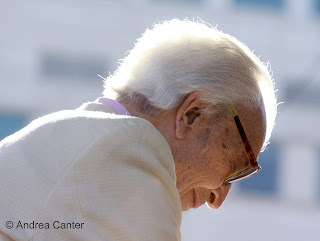 Not too far away, Arne Fogel presented a revue in honor of Johnny Mercer. I couldn’t be in two places at once and neither could anyone else. I heard the hall was about half full despite the marvelous voices of Fogel, Nancy Harms, Sheridan Zuther and Connie Evingson. Maybe they will do a reprise sometime soon. Sunday afternoons are often preferred for concerts—no conflict with Friday and Saturday nightlife, no late night before a work day, etc. 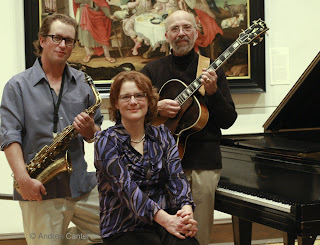 So the Twin Cities Jazz Society always plans at least a couple of its Jazz From J to Z concerts on Sunday afternoons. The season opener at the newly renovated Capri should have been a big draw—the seldom-heard JAZZAX Saxophone Quartet, the Laura Caviani Trio, Charmin Michelle and Dave Karr. Try to squeeze more talent onto a small stage! Aside from the musicianship, the program itself was intriguing, a salute to the great but somehow underrated Lester Young and his partnership with Billie Holiday. The small theater was probably less than half filled. Excuses abound—a Vikings game, a Twins game, a shooting on the north side, too much music already over the weekend. Maybe all of the above. Those who did turn out at the Capri were rewarded over and over through two long sets of familiar and less familiar tunes, written by, performed by, inspired by Lester Young and/or Billie Holiday—“Lester Leaps In,” “Jumpin’ at the Woodside,” “When You’re Smiling,” “Tickle Toe,” “One O’Clock Jump” were all familiar yet freshly arranged, expertly played. One of the unique contributions of an ensemble like JAZZAX is the wide variation in color produced by the different combinations of horns. 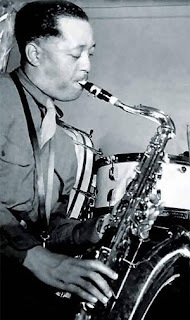 Put four tenor saxophones together and you seemingly get a 15-piece big band; put four tenors plus a bari and you have the heavy-weight edition of a big band; put four different sax voices together (soprano, alto, tenor and bari) and you get a full orchestra. Yet other combinations yielded different orchestras-- two tenors versus two altos versus a soprano against the big guys. And often the blend of voices changed within a single tune. In essence, the JAZZAX Saxophone Quartet is the brass equivalent of a jazz choir with multi-part, ever transforming harmonies. 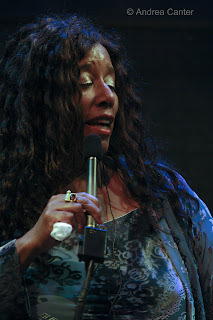 For most of the program there were at least seven, often eight voices on stage, JAZZAX in collaboration with the Laura Caviani Trio (Gordy Johnson and Phil Hey). Their mutual admiration as well affinity for the music and soul of Lester Young yielded one sparkling tune after another, punctuated by multiple savory solos. JAZZAX leader Dave Milne, who alone is a sax quartet, penned two compositions as well as an arrangement of Young’s “Tickle-Toe.” And he brought far more than music to the stage through his engaging commentary that filled in some of the details and intrigue of the life and times of Lester Young. Part of that intrigue was his relationship with Billie Holiday, channeled at the Capri by the warm voice of Charmin Michelle. Charmin is no Billie imitator, which by itself is refreshing, offering her own charm and silky interpretations of the well known “When You’re Smiling” as well as mining some lesser known gems deserving more attention—particularly “Sailboat in the Moonlight.” You can give me Charmin Michelle and Dave Karr in duo any day, any night. For me, one of the highlights was the performance of Laura Caviani’s 3-part “Suite Basie,” commissioned a few years ago by JAZZAX and filled with trademark Caviani bluesiness, sweet balladry, and ferocious swing. Everyone had a solo op on the closing Basie tune, “Boogie Woogie.” There was enough energy and enthusiasm to fill a stadium. Too bad the area jazz audience couldn’t fill this small theater. For those who made it out last weekend, spread the word. Our local musicians are more than worthy purveyors of Lester Young, Billie Holiday, and Johnny Mercer. There’s two fine local shows each at the Dakota and Artists Quarter this weekend, a good warm up to the week’s big gig, the Stanley Clarke Trio, coming into the Dakota for two nights October 4-5. You can start out in Minneapolis (the Dakota) tonight (10/2) with the ever-ebullient Debbie Duncan, and hang out for a late night CD release from young and creative trumpeter Adam Meckler (pick up a copy of his For Dad, a good revue of a fine new ensemble and some exciting original compositions). Or start off in St. Paul (AQ) with local sax titan Brian Grivna tonight, followed by rising young guitar talent Cory Wong tomorrow night (10/3). But save your ears for one of the most exciting trios on earth, led by Return to Forever bassist Stanley Clarke, RTF drummer Lenny White, and the amazing young pianist Hiromi. On tour in support of their fine acoustic recording, Jazz in the Garden, the trio’s two night stand at the Dakota is one of the most eagerly anticipated chamber jazz shows of the year. Clarke and White were just here last month with Chick Corea, another trio of epic stature and complementary musicianship. 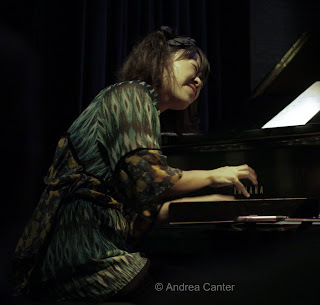 Swap out Corea for Hiromi, an interesting transformation particularly given that the two pianists recently recorded together (Duet) and have a relationship dating back to Hiromi’s days as a high schooler in her native Japan. The two share an affinity for wide ranges of emotion in their compositions and performance, a love of electronic experimentation, and ferocious chops. 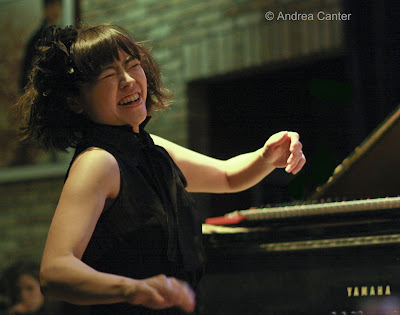 With Hiromi, you also get a dose of 21st century youth and an equally significant layer of Japanese tradition, evident in her harmonies and lyricism. 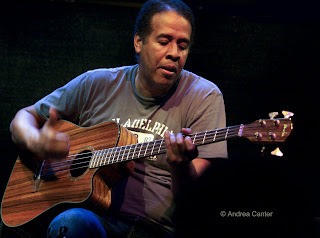 Clarke, now with his first all-acoustic bass recording, is proving himself to be as inventive on upright as on the electric bass that fueled his rise to fame in the 70s. 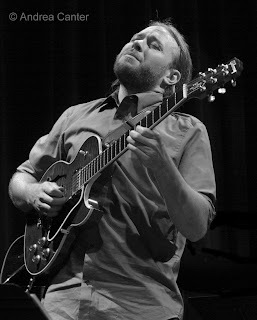 And White has always impressed me in acoustic contexts such as the Buster Williams Something More Quartet, while his reputation was also carved out of the fusion era. 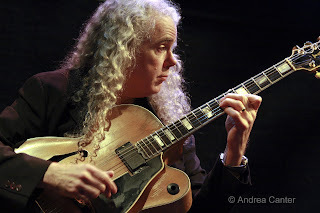 You an also lead into the Clarke et al experience with a more modernistic warm up, tonight (10/2) at Café Maude with Dean Granros and Anthony Cox, two of the most adventurous stringmen in town. For more laid back, week-ending relaxation, Charmin Michelle croons with the Laura Caviani Trio at Crave/Galleria, while Aaron Keith Stewart takes the stage at the new Crave in the Mall of America; Arne Fogel soothes with Rick Carlson at Ingredients Café in White Bear;Vital Organ with young hip singer Katie Gearty performs at Hell’s Kitchen; Maud Hixson romps with the Twin Cities Hot Club at Redstone Grill at Ridgedale, all tonight (10/2). Maxine Sousé swings at Sage Wine Bar in Mendota Heights Saturday night. Also of note this weekend is the grand finale of one of the most entertaining ensembles in the area, The Girls, who go out in grand style at the Hopkins Center for the Arts Saturday night (10/3). The original Girls—Lori Dokken, Erin Schwab, Judi Donaghy and Debbie Duncan will be on hand along with most recent Girl Patty Peterson and others who have at one time or another been part of the banter, sass, and song. The rest of the week includes a free concert with the eclectic pianist Uri Caine at Macalester College on Tuesday night (10/6); the opening concert of the Northrop Jazz Series, featuring innovative saxophonist Larry Ochs’ Sax and Drumming Core in the intimate space of The Whole Music Club in the Coffman Memorial Union (U of M) on October 8th, as well as the second J From J to Z concert sponsored by the Twin Cities Jazz Society, this one featuring Count Basie Orchestra drummer Butch Miles and the St. Croix Jazz Orchestra in Stillwater. Miles will stick around next weekend for back to back gigs at the Bloomington Center for the Arts, with the Wolverines Orchestra (10/10) and Trio (10/11), both with guest vocalist Judi Donaghy. Other good tips this week include Charmin Michelle and Denny Malmberg, back at Fireside Pizza Mondays and Wednesdays and a rare club night for pianist Benny Weinbeck, at the Dakota on Thursday (10/8). Some special events include jazz this weekend – the Fall Color and Jazz Festival at Lowell Park in Stillwater—you can catch vocalist Nancy Harms around 4 pm; the Sight Unseen Film Festival includes some jazz-related screenings, including a film about drummer Ed Thigpen at 1 pm Sunday afternoon at Oak Street Cinema. What’s on the jazz horizon? One of my annual favorite events, Laura Caviani’s Birthday Tribute to Thelonious Monk at the Artists Quarter (October 9-10).... and unfortunately I will be out of town. Everyone else should be sure to go! There will also be another benefit for Dean Magraw at the AQ on Sunday (10/11), and another don’t-miss gig at the Dakota with MacArthur grant-winning saxophonist Miguel Zenon (10/14).